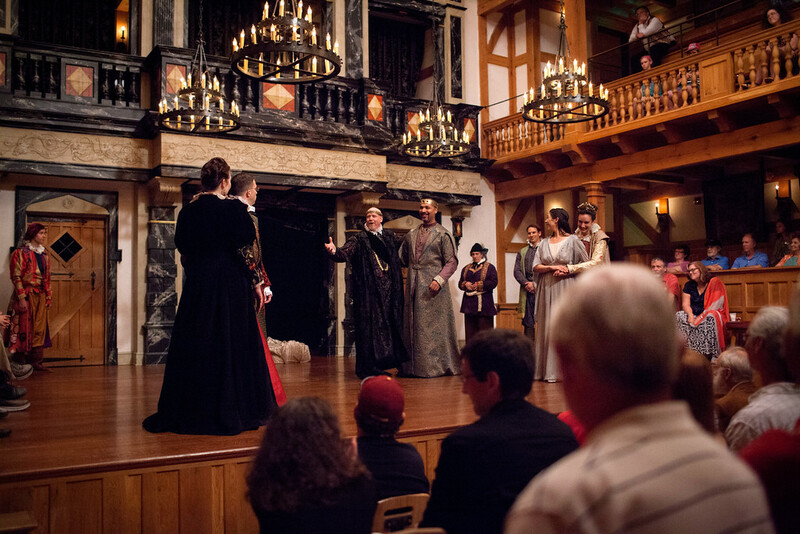 Shakespeare’s magnificent late play is a roller-coaster ride from romance to tragedy to comedy and finally to a place of transcendent beauty that few other works of art have ever gone. 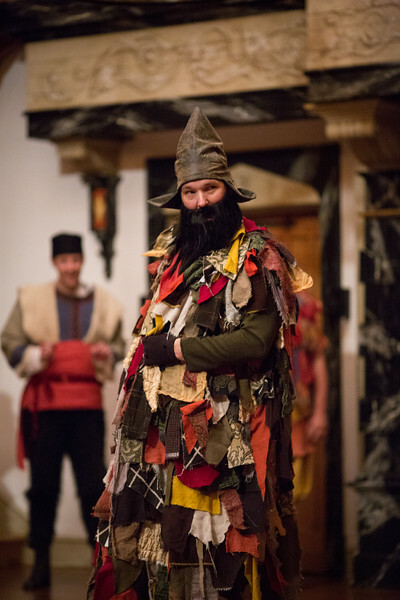 “A sad tale’s beset for winter,” but after unleashing a wintry tempest onto his characters, Shakespeare ultimately conjures spring’s miraculous rebirth. 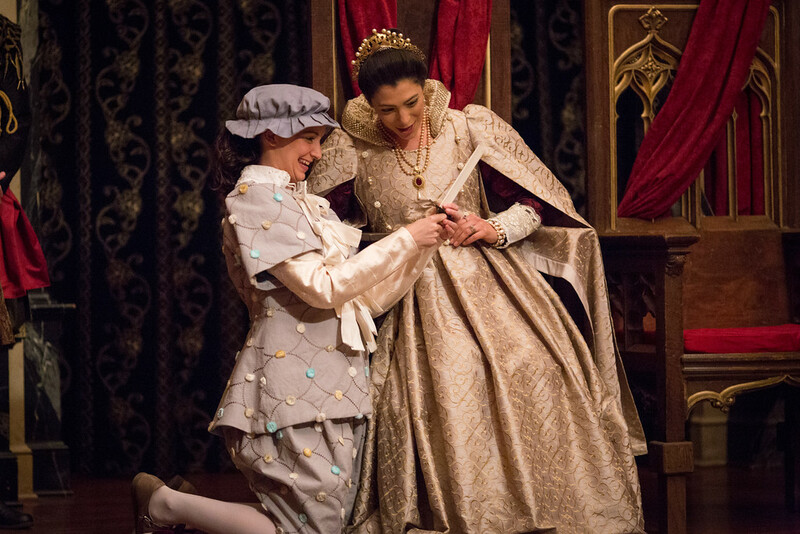 Stephanie Holladay Earl and Abbi Hawk in THE WINTER'S TALE. Photos by LINDSEY WALTERS. 2015. 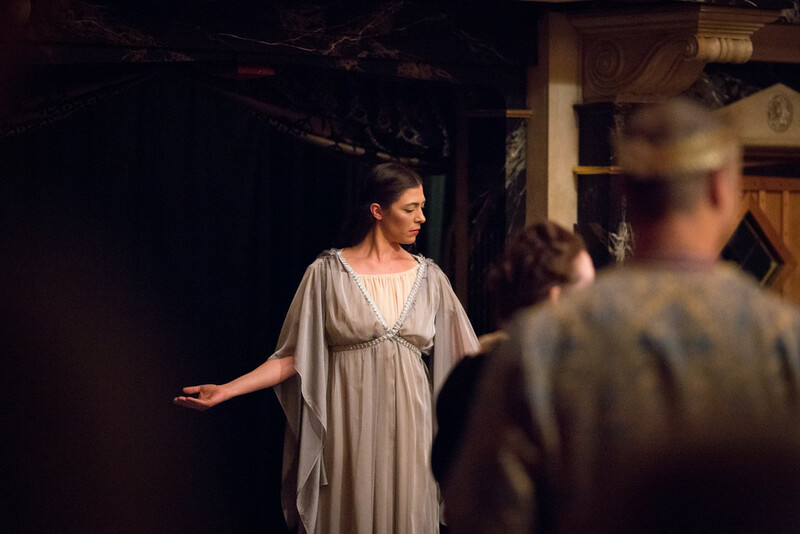 Sarah Fallon in THE WINTER'S TALE. Photos by LINDSEY WALTERS. 2015. 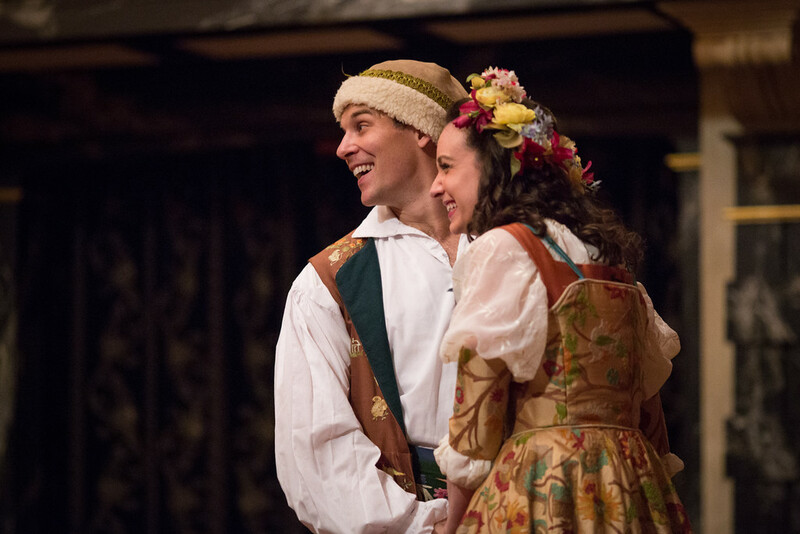 James Keegan and Sarah Fallon in THE WINTER'S TALE. Photos by LINDSEY WALTERS. 2015. 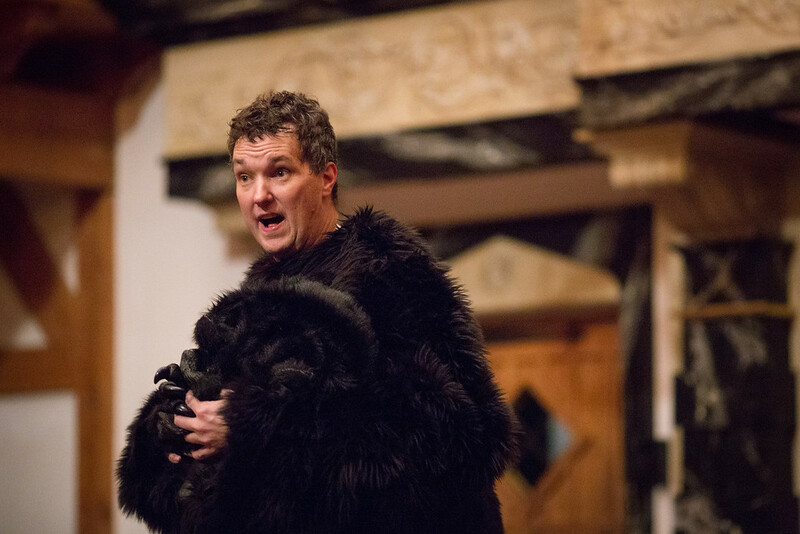 John Harrell in THE WINTER'S TALE. Photos by LINDSEY WALTERS. 2015. 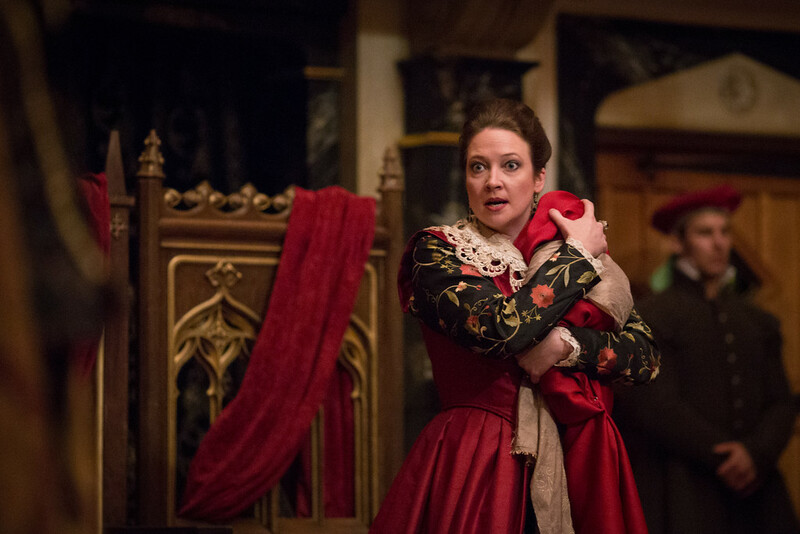 Stephanie Holladay Earl in THE WINTER'S TALE. Photos by LINDSEY WALTERS. 2015. 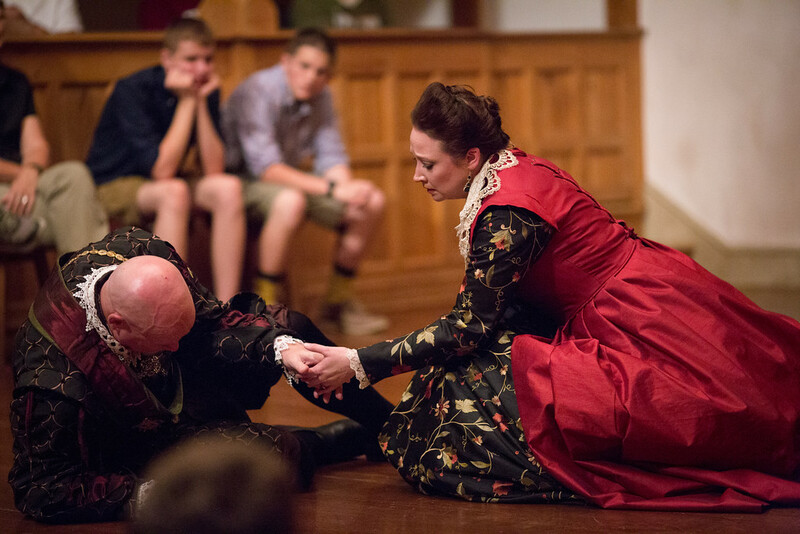 Patrick Midgley and Stephanie Holladay Earl in THE WINTER'S TALE. Photos by LINDSEY WALTERS. 2015. 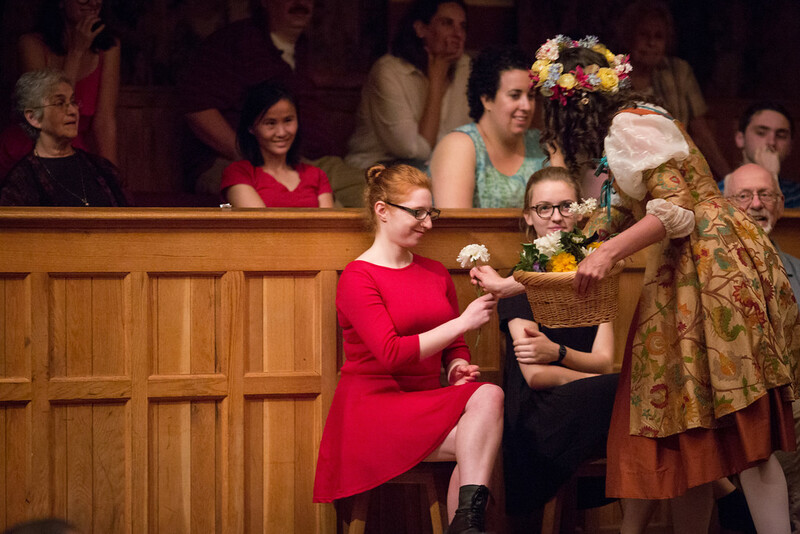 Abbi Hawk in THE WINTER'S TALE. Photos by LINDSEY WALTERS. 2015. 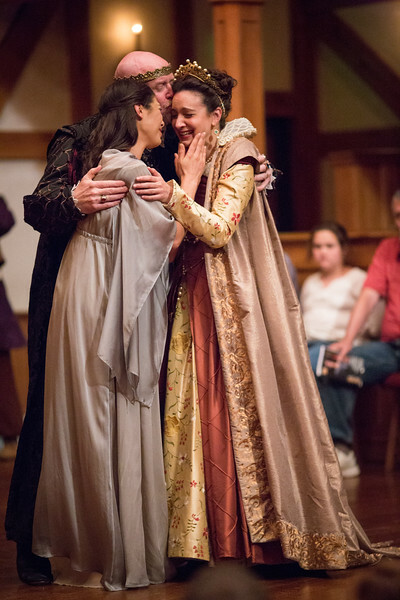 Abbi Hawk, James Keegan, and Stephanie Holladay Earl in THE WINTER'S TALE. Photos by LINDSEY WALTERS. 2015. The cast of THE WINTER'S TALE. Photos by LINDSEY WALTERS. 2015. Meanwhile, as a storm is brewing, Antigonus arrives on a seacoast with the baby girl; a bear finds Antigonus and a shepherd finds the baby. How did you read that sequence of words? What is the message? Now, look for an opposite message. Both are there. Both can be argued passionately. Both, I daresay, are true. Is there a difference between how you first read it and how you’d publish it? How you punctuate that sequence of words, by habit or intention, reveals something about you (and maybe your community or culture). For now, anyway. It could change. So, welcome to The Winter’s Tale. I think this play takes a keen look at Dignity and Grace. By Grace, I mean allowing those miraculous gifts we can have available to us, even though we don’t deserve them — particularly the actual love of a partner, brother, friend, or child; kind, excellent advice; the trust of a king; the ability to lead or inspire; opportunity/wealth; approval. Being human, we become suspicious of those gifts, caveat emptor, and try to control them. Grace might require surrender of what we think of as our Dignity (but is usually Looking Good or Being Right). And in a state of grace, true dignity abounds. Ambiguity. Truth is in the eye of the beholder. Scatter a handful of humans around a series of events, and you will have a handful of slightly or significantly different witness accounts telling the Story of what happened. I feel like the play walks the narrow knife blade between intention and perception. In fact, someone could pick your pocket that way. Power. Who are we around power? If it can corrupt, blind, and silence, it sure can’t do that on its own; humans have to agree to it, with specific action and inaction. Nothing. Nothing = the absence of something. Nothing = possibility. Nothing = a creative space, from which tales get spun for good or ill, for comfort or warning, to justify or change. (Human) nature abhors a vacuum; we tend to fill it up. Action. Going along with circumstances/being polite is as active a choice as rejecting circumstance and scrabbling forward law-be-damned. And we can love or loathe you, either way. Rehearsal. For me, the artistic method is like the scientific method: have an idea (hypothesis), try it out fully (test it), see if it works (conclusions), repeat. So while I’ve had all kinds of notions in my head and heart for moments of this play for months before the first rehearsal, the performance you’re seeing, dear and vital audience, is what we’ve discovered, together. You are the crucial, final ingredient, and we’ve been looking forward to your being here. A play without an audience is nothing.